Fremantle put on a strong performance in fine conditions, as they thumped Geelong by 36 points at the GMHBA Stadium. The Dockers ran away with the match in the second half keeping the Cats scoreless and the Cats could not get the football pass the centre line. The dynamic Dockers forward line caused headaches for the Cats. Back in the 2010/11 season, the Nightcliff Tigers claimed the wooden spoon. With just three wins for the season and some horrible score-lines, the Tigers as a club knew things had to change. And they did. 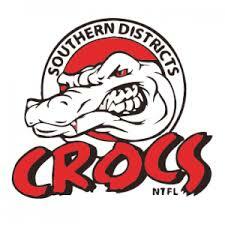 Since then they have been a perennial finalist but their next premiership has eluded them – possibly until this year. On Saturday the tigers mauled the Tiwi Bombers in their semi-final. 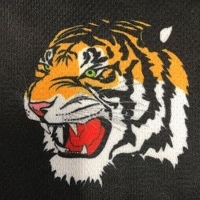 Not only does that see the Tigers through to the 2018/19 grand-final, they have also earned outright favouritism after dismantling the Bombers by 90 points on the weekend and having hammered the Southern Districts Crocs, also by 90 points, in the final home and away round. For either of those teams to win grand-final day, it would take a massive form turnaround, and it is hard to see the Nightcliff crew relinquishing their dominance. 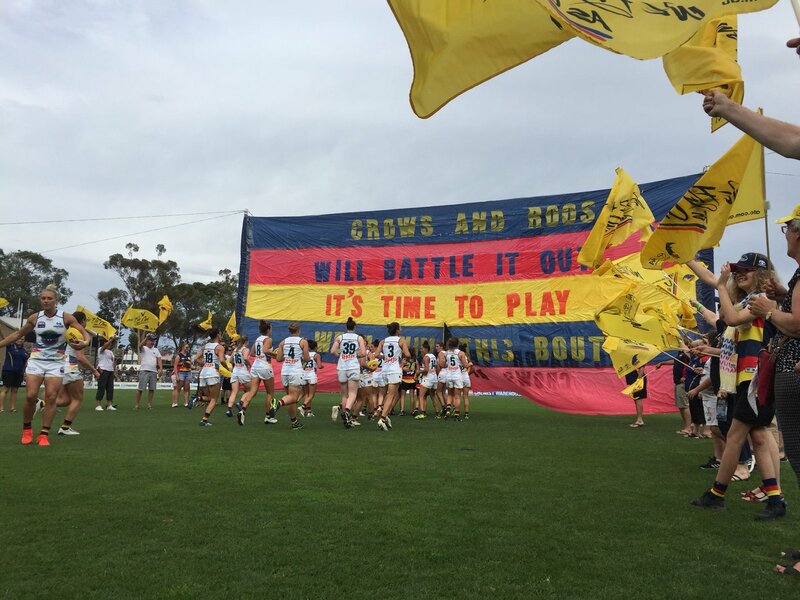 AFLW matches in Blacktown, Fremantle and Werribee capped off Round 5 of the AFLW all with consequences for the finals and setting the scene for a big finish in the final two home and away rounds. 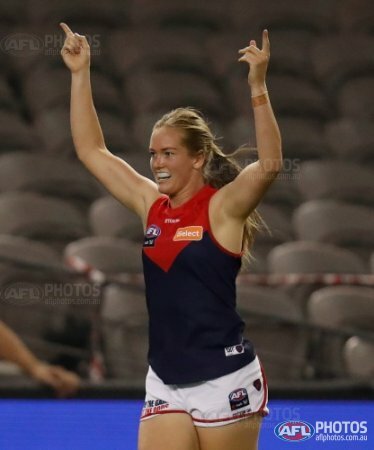 Melbourne look to have ended GWS’s chances of playing in the 2019 AFLW finals with a big win over the Giants at Blacktown. An even first quarter with the Giants looking dangerous up forward and Bonner and Bernardi looking dangerous. But the Demons drew away in the second quarter and continued to outplay the Giants around the ground. In Tiwi, The Word For Football Is Yiloga. Jack Banister from The Guardian has written an amazing story which plumbs the depths of how important football is to the people of the Tiwi Islands, north of Darwin. 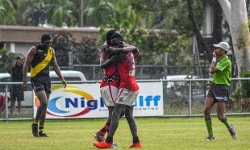 Built around the Tiwi Bombers club, playing in the NTFL, the story shows how sport can transcend into something far greater and noble than a mere contest. Sport has the capacity to change people and their lives in profound and far-reaching ways. 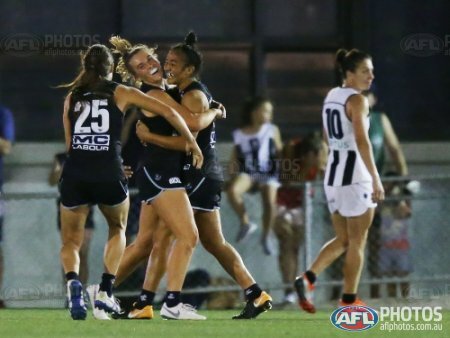 Carlton notched up a narrow five-point victory over a brave Collingwood in muggy conditions at the Ikon Park in Melbourne. The two old foes played a thrilling contest that could of gone either way, as the Pies gave it their all and led the match in the second and third quarters. This win marks the Blues first win at home. 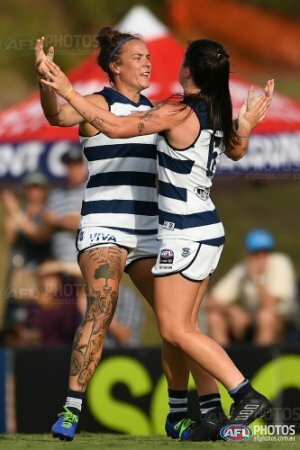 The Geelong Cats won convincingly by 27 points in mild conditions at the Moreton Bay Central Sports Complex in Brisbane. The Cats troubled the Lions with their uncompromising pressure especially with their defensive acts and as a result the Lions could not play their brand of football. This impressive win is the Cats first win on the road in their inaugural AFLW season and the Cats sit atop of Conference B with the win. 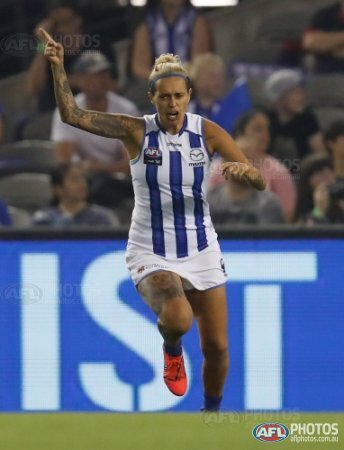 The Lions recorded the lowest ever AFLW score.